If you're a beginning golfer, you know—or are about to discover—that the amount of how-to advice out there is overwhelming. How do you know where to start? How can you cut through the clutter and find out what's most important for you? This five-part plan from lesson leader GolfTEC and its director of instruction, Golf Digest Best Young Teacher Nick Clearwater, leverages cutting-edge research and thousands of instruction hours with golfers just like you. 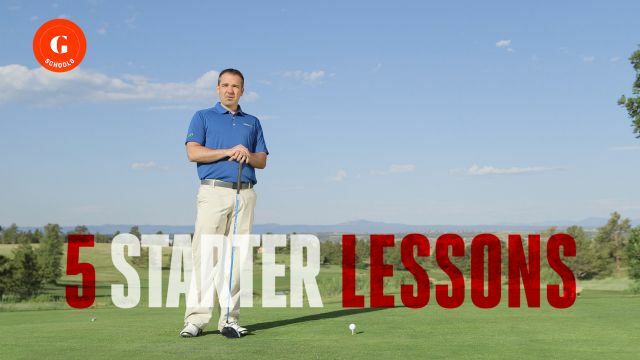 Nobody knows beginners like GolfTEC. The result is a clear, comprehensive guide to feeling comfortable over every shot you step up to. You'll learn to drive the ball in play, hit shots off the ground, and get the ball up and in from around the green. Each of these expanded video lessons describes the best practices to adopt and troubleshoots the game's most common—and frustrating—mistakes. Experience the excitement of a shot well played. Nothing will hook you faster than good fundamentals.